Ken Hash started buying and selling antiques in 1975 at the age of 15. 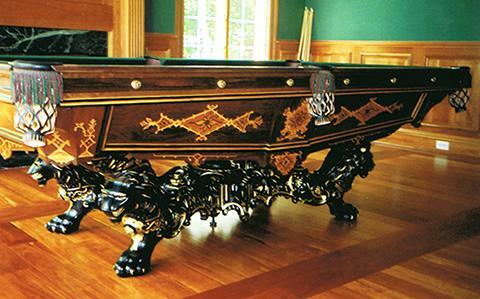 It was through this venture that he came into contact with antique pool tables and discovered his life’s passion and work. In 1988, he began limiting his business strictly to pool tables. 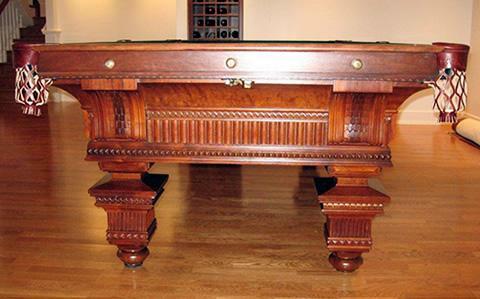 Through trial and error, a lot of elbow grease, and years of honing the custom skill of pool table restoration, Ken has built a business that provides you the best quality supplies including top brands like Simonis and ProLine pool table cloth and Aramith balls in addition to offering the best customer service available. Ken has been quoted in various trade magazines and has completed sales all across the United States and Canada and as far-reached as Germany. 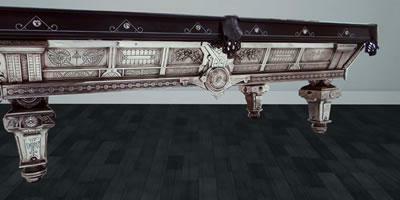 He works with many renowned decorating firms and provides restoration consultation on a daily basis. Handling all aspects of the business himself, Ken takes pride in his 25+ years of experience and looks forward to assisting you in finding and selecting top-notch pool and billiard supplies.